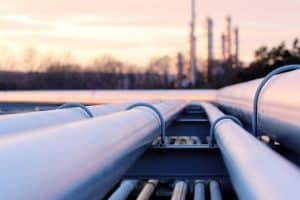 A New Pipeline Will Transport Bakken Crude Oil from North Dakota | Larson Law Firm P.C. The Bismarck Tribune reports that Phillips 66 and Bridger Pipeline have announced preliminary plans to build a new pipeline which would transport crude oil from the Bakken and the Rocky Mountain production areas down to Corpus Christi, Texas. The companies report that the new Liberty Pipeline would transport 350,000 barrels of crude oil per day, but did not give details about the route the pipeline would take, or where it would originate. In a press release, Bridger Pipeline spokesperson Bill Savin told the Bismarck Tribune that there is a need for more crude oil pipeline capacity from North Dakota and Wyoming. The release also mentioned that interest from shippers would determine the final route of the pipeline. The Liberty pipeline will involve a combination of new construction and the expansion of existing pipelines. If all goes according to plan, and the regulators approve the project, the pipeline could be operational by the fourth quarter of 2020. The Tribune story reports that North Dakota is projected to run out of crude oil pipeline capacity as North Dakota’s production keeps climbing. There are approximately 2.5 million miles of pipeline moving energy resources throughout the United States ­– enough to circle the earth about 100 times. Industry estimates suggest that roughly 500 workers are required for every 100 miles of pipeline. This new pipeline is a boon for our oil and gas workers, because more pipelines mean more jobs, hopefully for a long time. “[Pipeline construction] jobs collectively are not only deadlier than most, they are also more likely to result in serious injury. Energywire reports that, from January 1st, 2015, to October 31st, 2016, oil and gas pipeline construction workers had some of the highest rates of serious injuries on the job among industries with more than 100,000 employees, and oil and gas extraction workers had the highest. If you have been injured working on a pipeline, or if you have lost a loved one in an oil and gas workplace fatality, you would benefit from working with Minot oilfield injury lawyer. We have a strong record of helping clients recover the compensation they need. 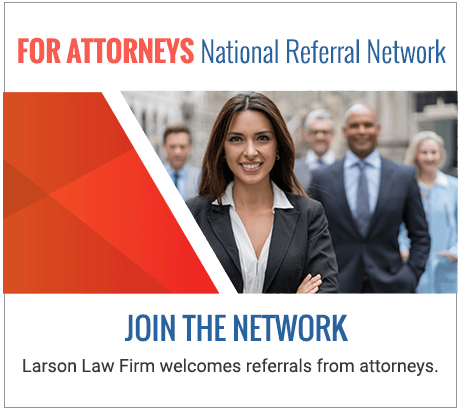 The pipeline injury lawyers at Larson Law Firm, P.C. are prepared to represent you. You may be entitled to compensation for medical bills, lost wages, and disability. We will fight for your right to get the justice you deserve. You are welcome to schedule your free initial consultation with an attorney, call our Minot office at 701-484-HURT, or fill out our contact form today.